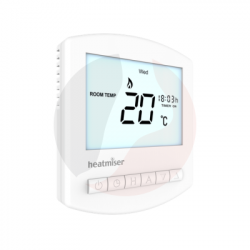 Heatmiser Touch-HW-N Wireless Touchscreen Programmable Thermostat with HW Output is ideal for those looking to relocate their existing thermostat. The Heatmiser Touch-HW-N works with the Heatmiser RF Switch Wireless receiver. The receiver is hard wired to the boiler, so this can be located next to the boiler or you could use the existing thermostat cabling. The wireless thermostat can then be desk or wall mounted with range of the receiver (up to 100 meters open space) enabling you to relocate your thermostat. This Heatmiser Wireless thermostat allows you to move the thermostat around your home, so for example in the office during the day and living room during the evening. 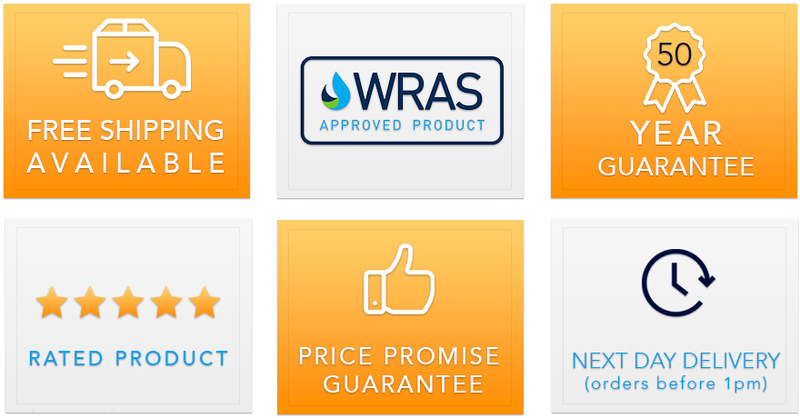 Heatmiser Touch RF is a programmable wireless thermostat with Touchscreen display, ideal for those l..
A best quality Heatmiser wireless Touchscreen Programmable Room Thermostat with an additional timed ..